The slice is a thing that many golfers encounter, even the most experienced ones. Some golfers are able to control the slice to direct the ball precisely where they need to. However, the slice is a mistake in most of the cases and should be dealt with. Picking the right golf ball for your round is a good way to reduce the slice. And if you happen to look for the best golf ball for slice elimination, then our today’s material will certainly interest you. For our review, we have picked 3 golf balls that have the features necessary for slice reduction. Each ball is pretty unique, so maybe you even pick one of them in the end. Shall we begin with the reviews? Wilson Staff Fifty Elite may be an excellent golf ball pack for amateur golfers who don’t want that much from a golf ball. 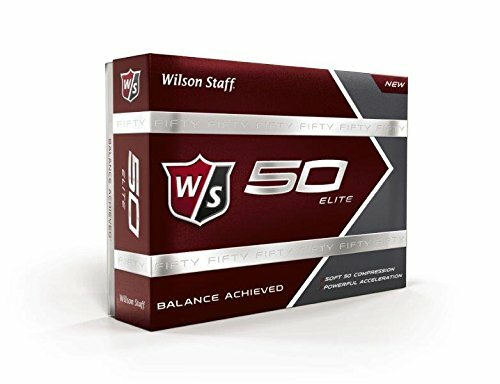 The Wilson Staff Fifty Elite pack includes 12 golf balls for a very good price! The inexpensiveness of this golf ball doesn’t mean that it doesn’t have anything to offer. The Fifty Elite golf ball combines an aggressive rubber core for a high greenside spin and big distance with a responsive cover with low driver spin and soft feel. In fact, for the price, the Wilson Staff Fifty Elite golf ball seems to deliver a pretty pleasant smooth feel. The Fifty Elite golf ball also features flat-bottomed shallow dimples that improve the aerodynamic features of the ball to allow it to fly further. If you decide to go for this ball pack, keep in mind that the cover of the balls appears not to be very durable. To be fair, that’s the thing that you would expect for the price. Not very durable ball cover. If you are looking for an excellent golf ball, then Nike Power Distance Soft Dozen pack may be the best choice for you. 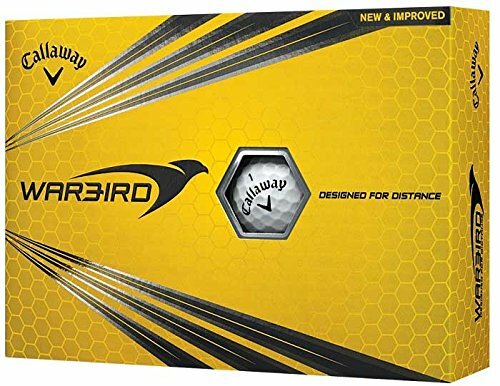 It certainly isn’t the most high-performance and expensive golf ball pack available out there, but it sure is a good value for the money. The Power Distance Soft ball was designed to deliver tour-level performance, distance, control & feel of the ball, as well as accuracy. The factors that make achieving these possible are the 4-piece construction and the seamless urethane cover of the ball. 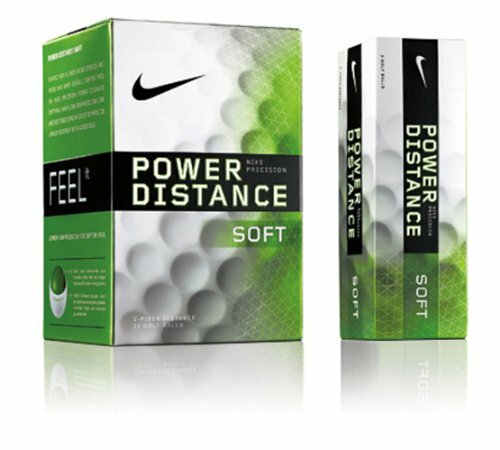 Certainly, the Nike Power Distance Soft Dozen golf ball pack will noticeably differ from the other two packs we examined. Thanks to the cover material and 4-layer build, it will feel smoother and more accurate. Overall, such balls are suitable for golfers with higher swing speeds. The Callaway 2017 Warbird golf ball is also a remarkable piece of golf equipment. It may not be the best choice for skilled golfers, but it has a couple of features that may interest amateur golfers. First of all, the Callaway 2017 Warbird golf ball features Callaway’s patented HEX Aerodynamics cover that is engineered to reduce drag and promote a faster and higher launch. As a result, you get increased speed, distance, and hang-time of the ball. The core of the Callaway Warbird golf ball is also quite interesting. It is designed to compress during the flight to increase the potential distance of the ball at a wide range of swing speeds. Besides, the thin and sensitive ionomer cover of the ball delivers quite a satisfying feel off of the clubface. While the Callaway 2017 Warbird has quite a good feel, it isn’t a very soft golf ball. If you are looking for an exceptionally soft and smooth golf ball, then you should probably look for something else. This ball may be less soft than you would like. What’s slicing and how can you avoid it? The slice is a shot that results in a dramatic ball curve from left to right. It is a thing that beginners and the majority of recreational golf players come across. While the slice can be useful in some cases, it mostly is a mistake that needs fixing, as we already mentioned. Picking a good golf ball is one way of dealing with the slice. There is one thing though. A great golf ball may reduce slice, but it won’t eliminate the mistakes in your technique. On the other hand, a bad golf ball may slice even if you have an excellent technique. The point is that you should both look for good equipment and work on your swing technique. Will getting a good golf ball help you reduce the slicing action? The chances are that it will. However, don’t think that the right golf ball is a magic item that will solve all the problems with your technique. There is a reason or a number of reasons why the slice occurs in the first place, including a bad ball. And your task is to do everything you can to reduce it. Getting a good golf ball is one way of doing it, but it is not everything. You should pay attention to your swinging technique, especially if you are a beginner. Your stance, how you perform the swing, your movements, and whatnot all strongly impact the trajectory of the ball. And besides, whether or not you are using the right golf club also plays a huge role. If you really want to get rid of the slice, you should be ready to replace your golf club as well. Well, if you know that it isn’t the perfect club for you. Does this all mean that getting a good golf ball is useless? Certainly not because you should strike with a good ball anyway. A good ball will be more durable, responsive, and smooth. Finding the best golf ball for slice reduction may not be the easiest of tasks. Golfers are different, and so is their technique and playstyle. Be prepared to go through a lot of golf balls before finding the right one. But know that the search will certainly be worth it!